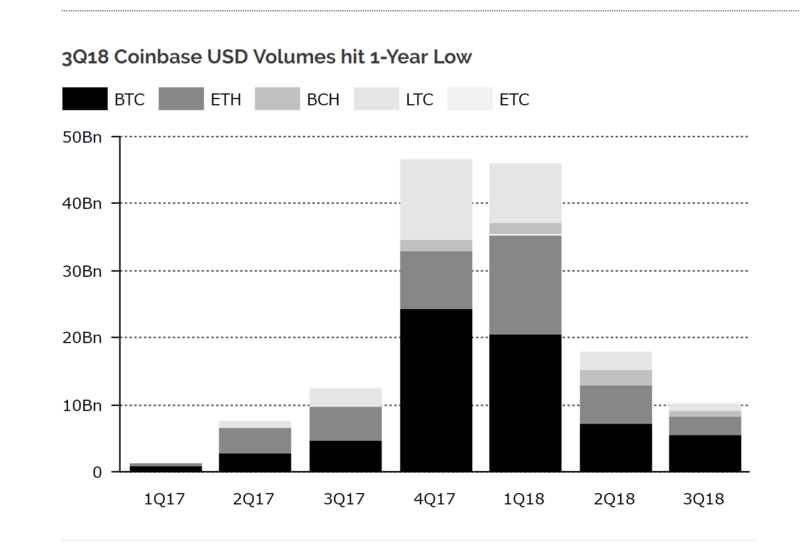 Coinbase has seen the use of their platform by U.S. customers decline about 80 percent since December, according to a report by venture firm Tribe Capital. In December 2017 Bitcoin reached its all time high of almost $20,000. Since then Bitcoin saw a drop of about 60 percent. In the meantime the number of monthly U.S. customers buying and selling on Coinbase declined 80 percent, Bloomberg reports. Tribe says their numbers are not comprehensive and only include U.S. transactions from credit cards and other identifiable bank transfers, but the firm claims 'it still captures the overall trends'. Bloomberg uses the data of another report by research form Diar to back the statement that Coinbase is suffering hard in the bear market. According to Diar, the U.S. dollar volumes also fell 80 percent from Q4 2017 to Q3 2018. Coinbase declined to comment. 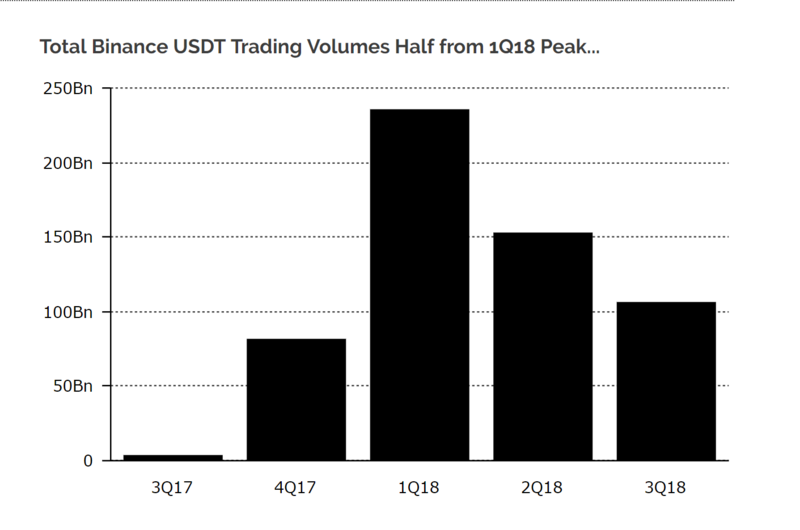 Diar also reports that the volume of USDT trading on Binance is half from its peak in Q1 2018.